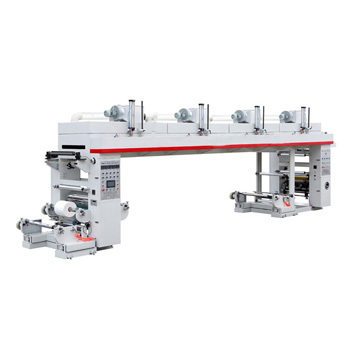 Roll-to-roll Laminating Machine is suitable for laminating plastic film(BOPP,PET,CPP,CPE,PE),nylon,aluminum foil and paper.2-layer and multi-layer lamination are available. 1. It is with 1st unwind unit,gluing unit,drying unit,2nd unwind unit,lamination unit,rewind unit,pneumatic system and electrical control system. 2. With 15N. m magnetic brake for unwind tension control. 4. With ceramic anilox roller for transfer glue evenly. 5. With enclosed type intergrated dry oven and open by pneumatic. 6. With 7m dry oven for material quick drying. 7. With PLC control system for machine working control.